You will see this shape quite often. I had a matte light green one at one time. I'm pretty sure it is not Bauer. 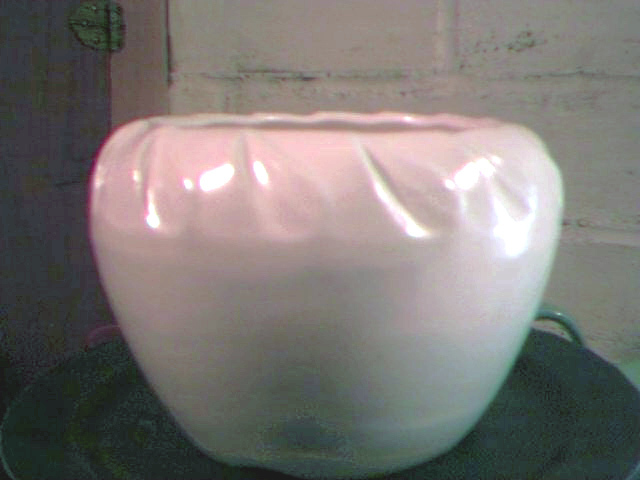 I have seen examples marked "White Pottery" and a shape number, but most often not marked. 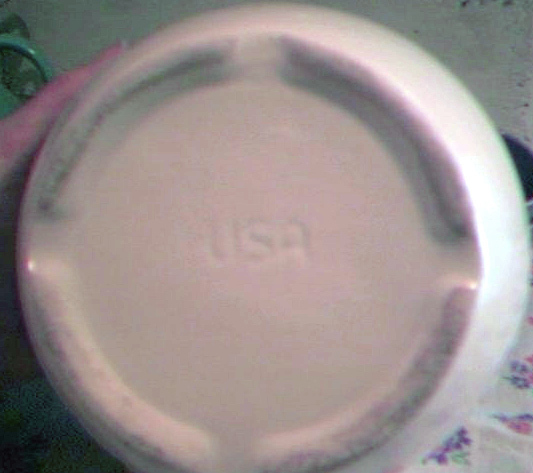 White Pottery (not Whites from Utica NY), from what I have found, was a California pottery, probably in the 40s to 60s era. I have 2 other shapes by them. 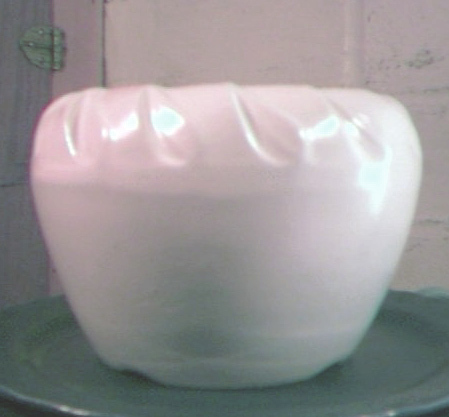 Every piece I have seen is in a pastel color, light to medium weight, white color clay and slip cast. They seem to be nice, simple designs, original shapes, good glazes, etc. just no collector following to elevate prices. Hope this helps.